BJP has booked 20 private jets & 30 helicopters, while Congress could manage to book just about a fifth of that. New Delhi: India’s vast and chaotic election is being fought in the skies with private jets and helicopters. The size and complexity of India’s election gives politicians with a helicopter or small jet a big advantage. The country isn’t just large geographically — north to south it’s about the distance from New York to Guatemala and almost the same again from east to west — but the shortage of good road or rail links and the huge numbers of people who live in villages and remote areas make nationwide campaigning a logistical nightmare. Yeh, hawa mein hi udte rahe gein ya phir zameen per aa kar kuchh kaam bhi karein ge? 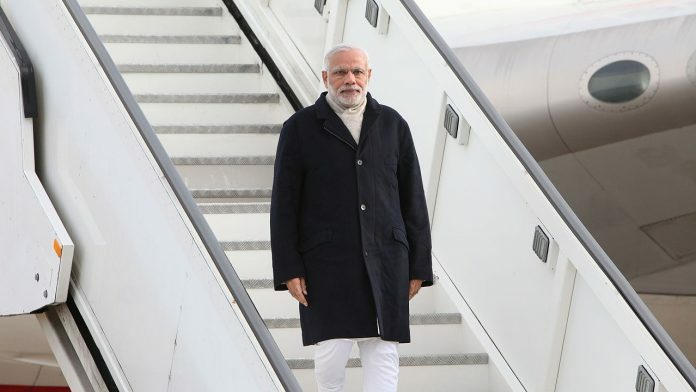 First four-years or so were spent in international travel and last one year on Indian travel for votes, abusing the opposition in public rallies and spending hard-earned public money on self-promotion. Now I know what they meant by minimum government and maximum governance! Oh, where do they get so much of money from? Or is it one of those accounts that PMO does not track? If the party pays, how does it get so much of money?